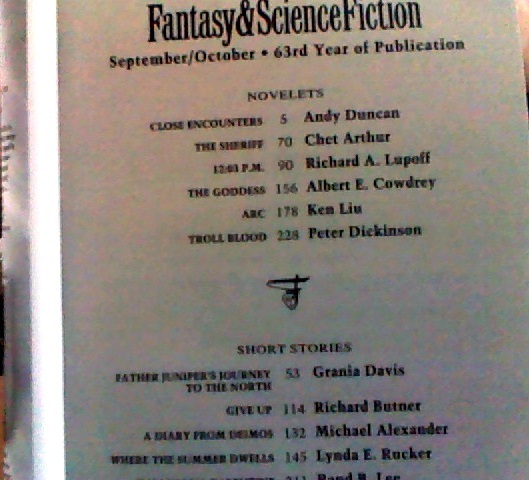 My story “Where the Summer Dwells,” available in the Sept/Oct issue of F&SF, has received glowing reviews from Lois Tilton at Locus and Barbara Melville at Tangent. Melville calls it “dazzling” and “note-perfect.” But perhaps you are not yet convinced you should race out and purchase this issue! 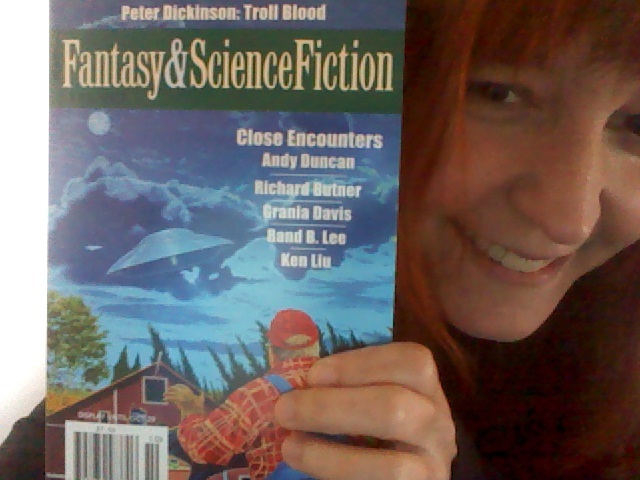 Let me remind you that it’s chock-full of excellent fiction by other folks; this issue has novelets by Andy Duncan, Chet Arthur, Richard Lupoff, Albert E. Cowdrey, Ken Liu, and Peter Dickinson and stories by (besides me) Grania Davis, Richard Butner, Michael Alexander, and Rand B. Lee. Plus! A poem by Sophie M. White, the usual assortment of articles and reviews, etc. etc. That’s a whole lot of reading! The official Women in Horror month may be over, but I’ll still be writing about women in horror over the next couple weeks as I finish up my little series here of women writers of horror fiction who influenced me in some way. But I’m taking a moment out from that to mention my latest sale, from couple of weeks ago, of my story “Where the Summer Dwells” to The Magazine of Fantasy and Science Fiction. This is particularly exciting as it’s my first appearance in one of the so-called ‘Big Three’ digests. It’s a quiet dark-ish little fantasy. I’m very fond of it. Updates coming when I learn what issue it will appear in.